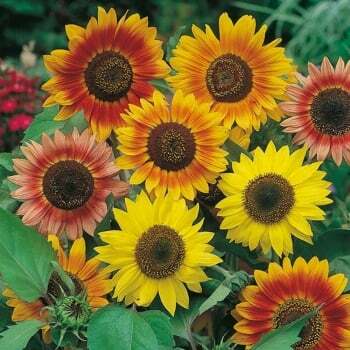 These Mr. Fothergill's sunflower sunburst seeds from Ruddick Garden Gifts are easy and quick to grow. They are an ideal summer border backdrop with their stunning sunburst colours. These hardy annuals will grow to 6ft in height and their spent heads can be left to feed the birds throughout the winter. Average of 50 seeds per pack.